Jigme Tshewang, a participant in the Bhutan Centre for Media and Democracy's audio podcasting project, a Rising Voices grantee project. I live with an aim that all people should be informed what is happening around in an age of information with the right to know as well. We should all work for the benefit of the mass for they too have the right to information and education is the main tool. This is one of the guiding principles of Jigme Tshewang, a member of the audio podcasting project organized by the Bhutan Centre for Media and Democracy, a 2013 Rising Voices grantee. 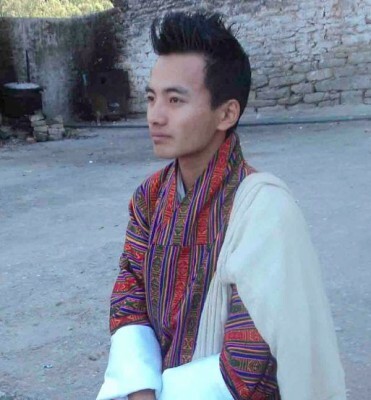 As a student at Royal University of Bhutan in the Media Studies Department, Jigme took part in one of the audio podcasting workshop at Sherubtse College, Kanglung, District-Tashigang, where he learned about the basics of developing a script, recording, and editing. 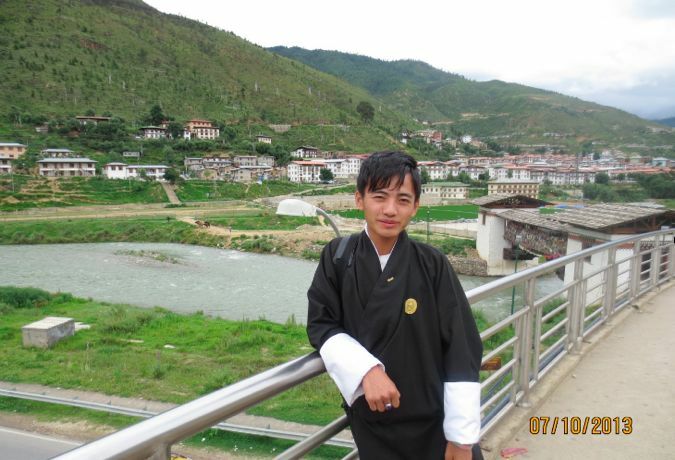 Originally from the Pemagatshel District, he now lives in the Southern part of Bhutan known as Samdrup Jongkhar which is an approximately one day journey from his college. In an email interview with Rising Voices, Jigme said he found audio podcasting especially interesting because of one's ability to tell a story more effectively than in writing. Audio also has the potential to reach a larger audience because of its accessibility to those sectors of society that may be illiterate. These audio podcasts can also be distributed via local community radio stations and providing those without internet access the opportunity to hear different points of view. The podcast in which Jigme worked on focused on the views of Bhutanese citizens about the Gyelposhing land case judgment, in which governmental officials were accused of illegally obtaining land from villagers. Jigme found that “many people shared the view that the judgement was fair as they knew law must prevail. Some people shared their sadness as they lost their candidate for the parliamentary election due to the case.” The podcast is still in the process of being edited and uploaded to the web. Regarding some of the challenges that comes to podcasting, Jigme found that it was challenging finding people willing to share their views. He said, “Bhutanese people are not open minded when it comes to sharing their problems.” However, he did find enough people willing to use their voices to discuss matters important to Bhutan's democracy. While podcasting remains Jigme's primary interest, he is also immersed in the world of blogging and social media. 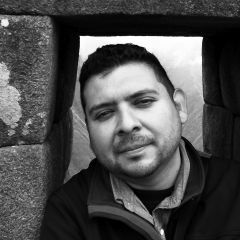 His blog covers some personal reflections, and he tweets at @jigmetshewang. I want the world to know that Bhutan is known as the “Land of Happiness” with its intact time tested culture, pristine environment with the only Constitution in the World which commits to preserve and protect minimum of 60% of the total area under forest cover for all times to come. Our Buddhist principle of simple living with contentment makes our people lead a happy life and we truly value the development philosophy of our Fourth King who said “Gross National Happiness is more important than Gross Domestic Product”. To us material and physical comfort is not everything and we value unity in living and peace in the community.